What’s next? Captain America piloting a meteor? Iron Sky is perhaps one of the least likely titles in imagination when it comes to science fiction meets alternate history – and we live in an industry that seen Wolfenstein and Command & Conquer. But no one’s quite done Nazis from space yet, so there you go. 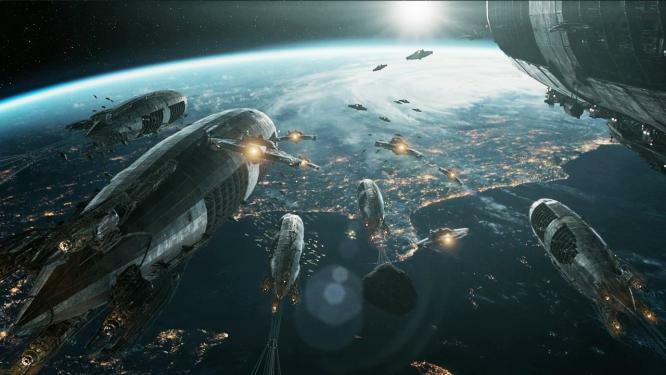 TopWare Interactive has released a free demo for the game Iron Sky: Invasion, that runs parallel to the movie, in which you must take on the Nazis in space simulator combat. Developed alongside the movie, Invasion is now available in Europe via Steam for PC and Mac OS. The demo packs in a tutorial along with thirty minutes of gameplay. You’ll be fighting against Admiral Willhelm Kreutz, and in classic C&C style, there will be actors hamming it up in the game. Considering these are the same actors from the film, it makes for quite the (hilarious, embarrassing) sight. Along with the demo, a new update has been released for mixing minor issues with the game.